No need to shop hectic stores — no need to waste money on postage. 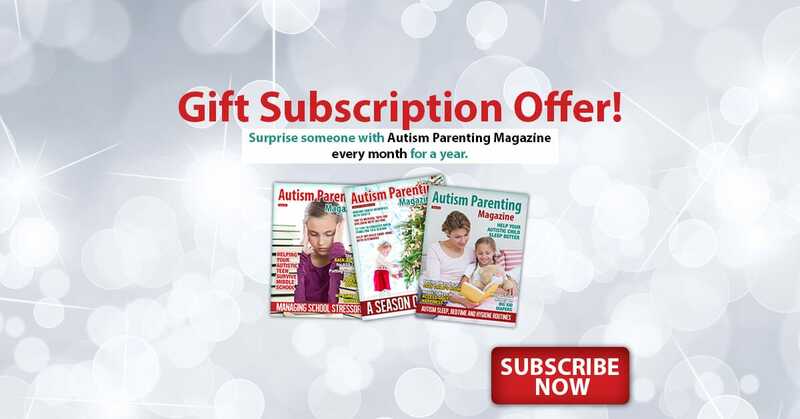 Give the gift of Autism Parenting Magazine every month for one year! From professional guidance on dealing with sensory and transition issues to learning about the latest in research and autism therapies, a gift subscription can make a significant difference in someone’s life. To gift a subscription, just go to https://www.autismparentingmagazine.com/how_to_purchase/ and purchase the subscription then go to https://www.autismparentingmagazine.com/gift-subscription-offer to raise a request to transfer the subscription to a friend or loved one. No worries — we’ll take care of it. I purchased a subscription on December 2, 2015. I was unaware it was not actual magazines but web based. When I finally went through my email and installed and opened the app on my iPad it I got charged again for the subscription and could only access one magazine. I would like someone to call me and explain this process to me and refund one if not both payments if I can’t access the web magazine. Can you buy a subscription for your kindle instead of going online to look through them?